Get ready for college -- ready for a career! Get ready for college - ready for a career! "Welcome to the Innovation Zone"
Career & Technical Education (CTE)? Careers in action! What did YOU do in school today? TCD is your high school's elective for college and career readiness. Choose a TCD program junior or senior year -- or both -- for a head start on your future! 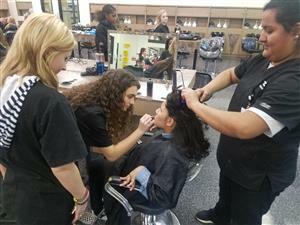 TCD Cosmetology Phase 2 students help prepare for the big night! The Program Guide provides the information you need to begin making YOUR career decisions. All students attending Technology Center of DuPage will be prepared to successfully transition to postsecondary education and careers. 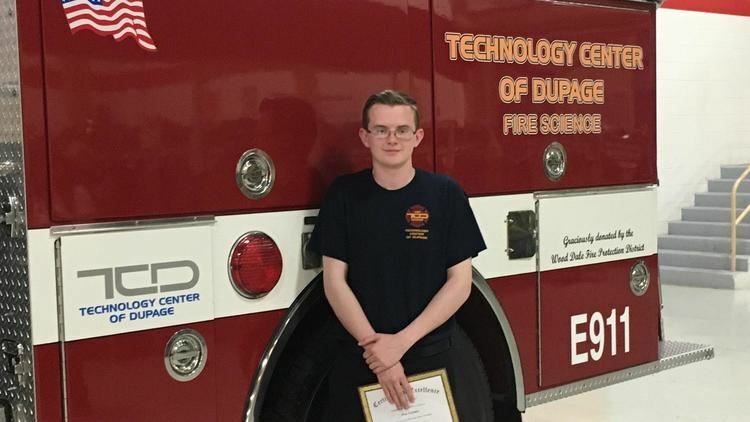 Technology Center of DuPage will provide an educational environment that supports and encourages individual learning styles, develops occupational skills, fosters professionalism, promotes academic growth, and assists students in discovering their potential. This mission includes ongoing professional development to maintain a skilled staff that effectively delivers high-quality, individually guided learning experiences.